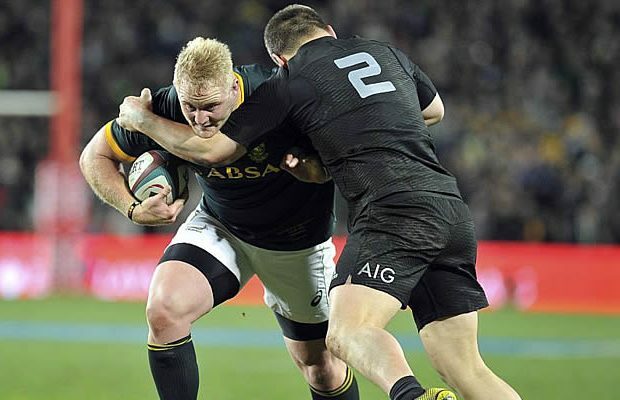 Springbok head coach Allister Coetzee has named Vincent Koch to make his first start for the Springboks when they face Argentina in Salta in the Rugby Championship. Koch comes into the Springbok starting line up replacing the injured Julian Redelinghuys and is the only change to the starting side that beat Argentina in Nelspruit. Alongside Koch in the front row Tendai Mtawarira will equal Os du Randt’s record as most-capped prop for South Africa. 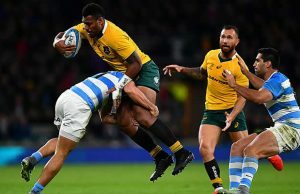 Koch, who has three Test caps to his name, comes in for Redelinghuys who has been ruled out of action with a hamstring injury he sustained in the first Rugby Championship Test in Nelspruit on Saturday, won by the Boks by 30-23. With Koch drafted into the starting line-up, Lourens Adriaanse moves onto the bench to as one of the two replacement props for what could be his second Springbok cap. Also amongst the replacements, the Springboks have opted for the experienced Morné Steyn, who will give the team an extra kicking-option, in place of Juan de Jongh. The rest of the Springbok line-up remains unchanged from the one that defeated the Pumas at the Mbombela Stadium. In keeping changes to a minimum, Springbok coach Allister Coetzee has opted for continuity against a Pumas side that will be lifted by their passionate home support. “Vincent did very well when he came on as a replacement for Julian in Nelspruit, and he is rewarded with a starting berth, while we believe it would be good to give Lourens an opportunity on the bench at this stage,” said Coetzee. 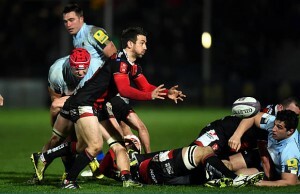 “We expect them to try and put us under pressure with their tactical kicking. Morné is an experienced player with good kicking attributes, and he will provide an additional kicking cover for us. The Springboks will continue with their preparations in Buenos Aires before flying out to Salta on Friday morning. The Bookies have South Africa at 13/2 to win the Rugby Championship.